Welcome to Broadway Dental Care. I was asked to write a few words about what my dental practice brought to the community of Broadway and the surrounding area. The brief was to avoid writing about the latest merits of tooth whitening or implant surgery. 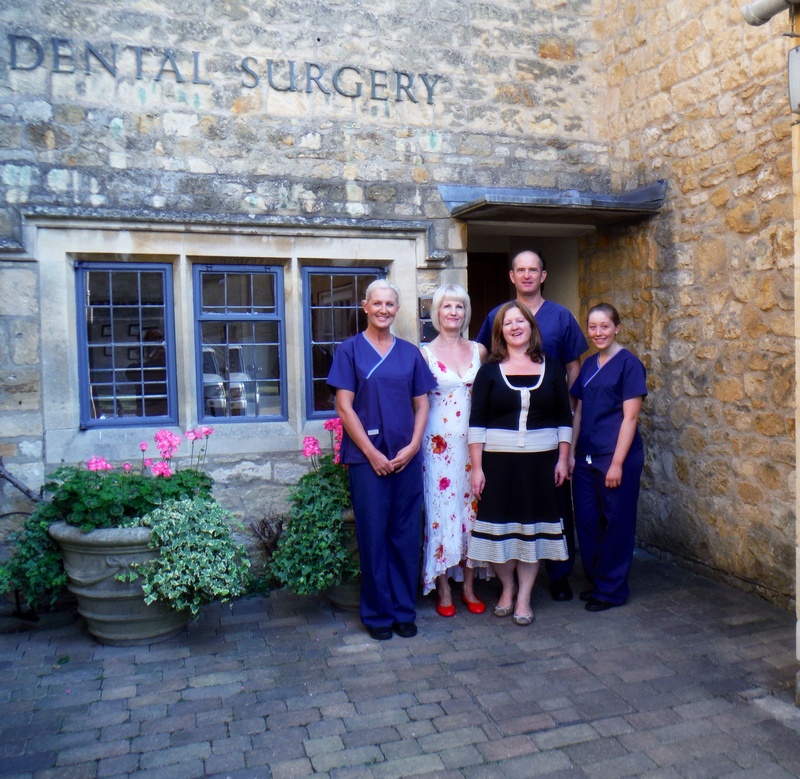 There as been a dental practice serving Broadway for over 40 years giving this small Cotswold village a full complement of professional services which with modern centralised health care is becoming increasingly rare. We have owned the practice for the past 14 years and what it physically lacks in size I think we make up for in quality and continuity of care for our patients. Perhaps a good place to start is a short biography which may help with understanding the practice philosophy. I am a local lad educated at Worcester Royal Grammar School and then studied dentistry at Birmingham University. I graduated in 1988 and was one of the first young graduates to start Vocational Training in Bewdley which is at the extreme north of the County. In those halcyon days dentistry was simpler, white fillings and implants basically did not exist outside of a few London practices or North America. In 1992 there were big changes in the NHS and I felt it was becoming increasingly difficult to provide the range of care I was reading about in the academic journals. Just when I was invited to become a partner in the practice I decided to join the Royal Air Force as a dental officer. The great thing about dentistry in the RAF was that ones primary focus was to maintain the highest levels of dental health for both air and ground crew. In basic terms we were expected to concentrate only on quality of care and best practice. With a young family I had the privilege to be posted to a military hospital in Germany where I pursued my academic studies and broadened my skill set in the more complicated field of referral based hospital dentistry and children’s dentistry. In 1986 I gained my Membership in General Dental Surgery ( similar to but broader than a modern masters degree as it covered almost every aspect of general dentistry from practice management to the microanatomy of implant surfaces). In 1997 I finished my short service commission and joined a larger corporate practice in Solihull but after 6 months I was lucky enough to see a small practice for sale in Broadway which has been ours now since 1998.Once I owned my own practice I completed my Fellowship and now act as a Fellowship assessor for the Royal College of Surgeons. To keep up to date I do a little teaching and predominantly attend the European Society meetings to gain a broader view of dentistry outside of the UK. So that is all very interesting but was does it mean for the people of Broadway? Well by staying roughly in the same place for 24 years you get to know your patients very well, their likes and dislikes and what treatment work well and which don’t in the long term. This can be broken down into two main areas. Simple does not mean easy – To prevent gum disease is ‘simply’ making sure you have cleaned all the bacteria off the tooth surface which is not easy to do. To get a white filling to stick properly is simply a matter of keeping a tooth dry which is not easy if you consider we have to do this repair in someone’s mouth. Attention to detail on the simple things has more to do with long term dental health than the latest cosmetic wizz-bang treatment. Treatment planning has always been remove infection, restore function,do no harm and create as balanced and attractive smile as possible – simple but not easy. The other area is prevention is better than cure. This is probably the hardest axiom to achieve as it requires volunteering for treatment. Lets face it nobody wants any more dentistry than is absolutely necessary. However timely replacement of failing fillings can prevent in the long term the need for more complicated treatment s such as root fillings, crowns or implants. We (the general public and the dental profession) are being drowned in a sea of information and treatment choices (implants, smile design,laser gum therapy,instant veneers etc,etc).